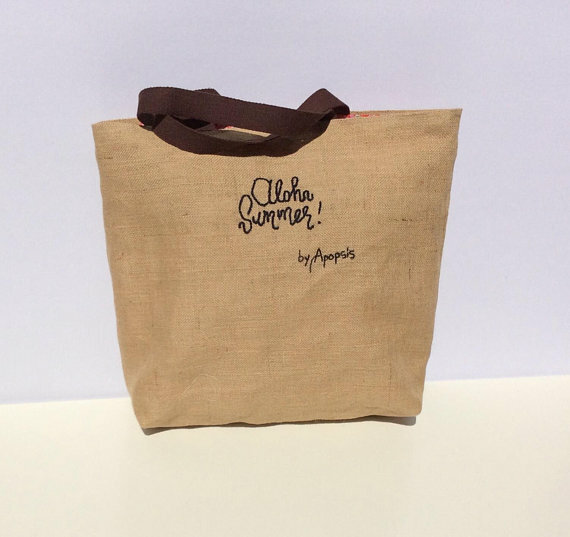 COLLECTION : HELLO SUMMER, I'VE BEEN WAITING FOR YOU !! 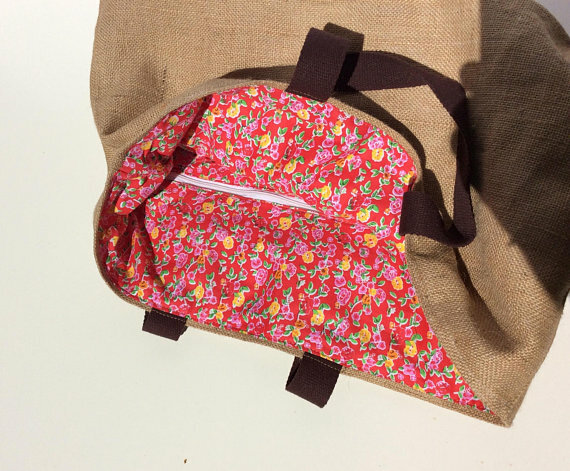 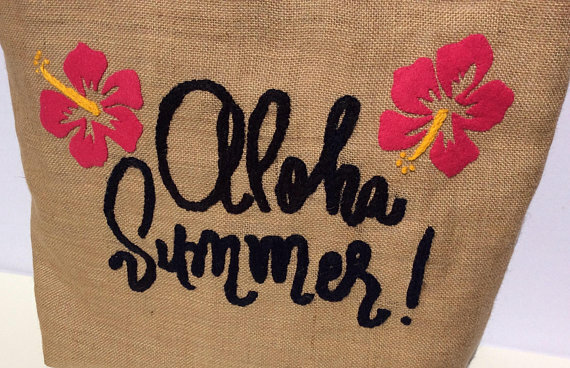 Unique, eco friendly,handmade jute tote bag, beautifully hand embroidered in detail bag, featuring hibiscus flower. 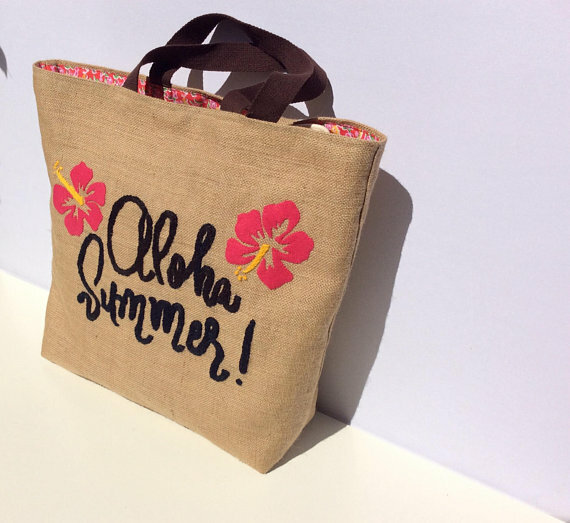 Roomy enough to hold all your daytime or day in the beach necessities, yet still sleek enough for a day out of town. 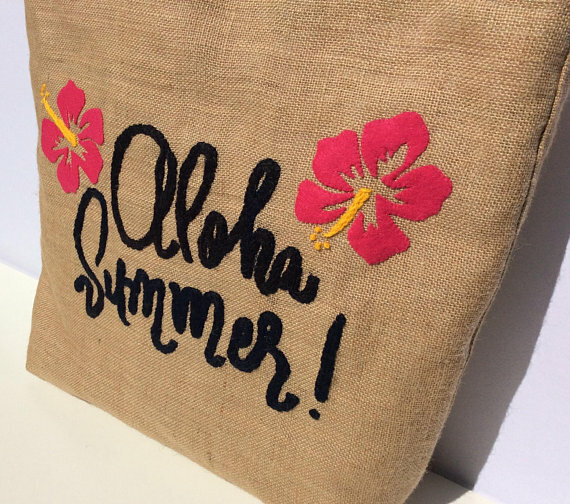 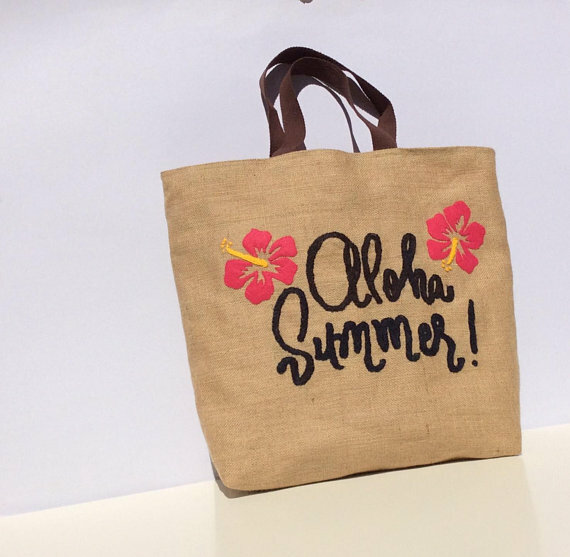 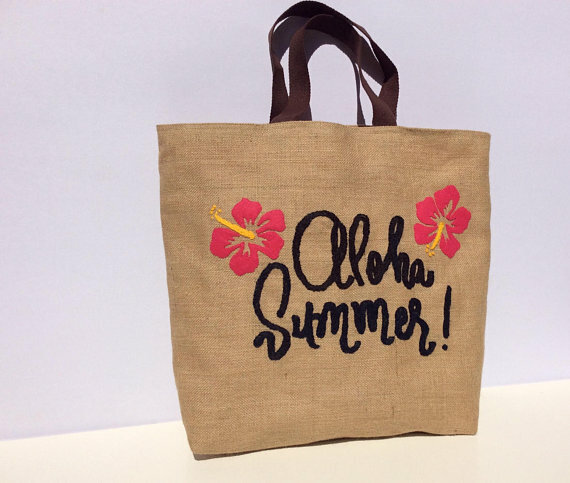 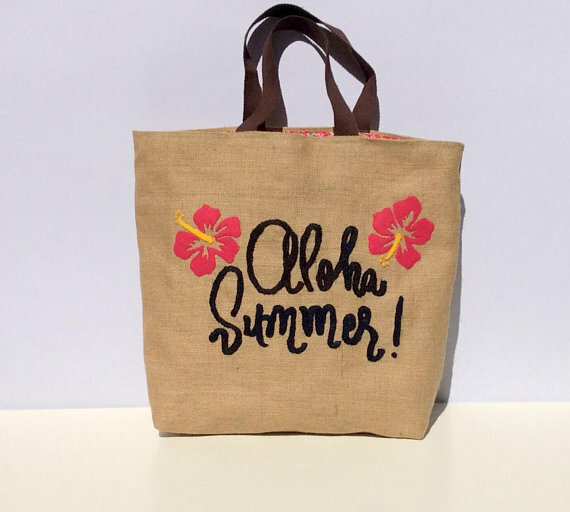 - Embroidered title "Aloha Summer" and logo on the back.